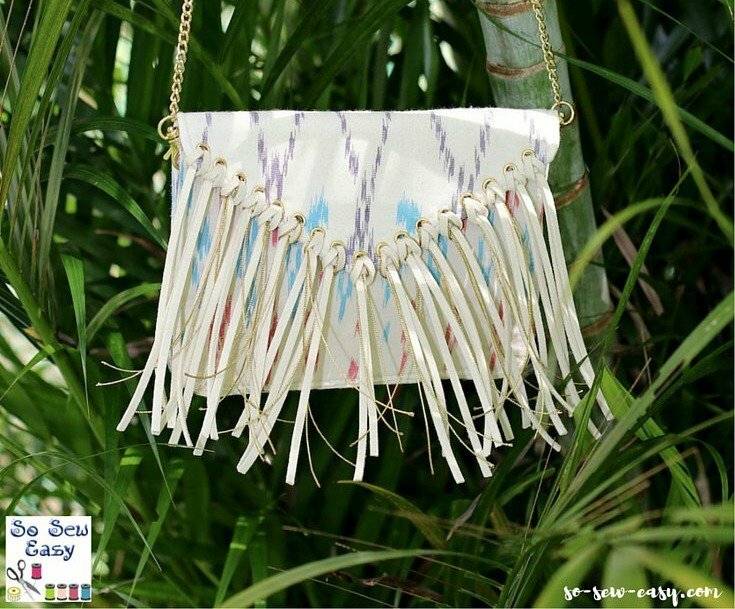 "Small Fringed Bag Small bags are really “in” at the moment and a small fringed bag like this one is particularly fun and easy to make. 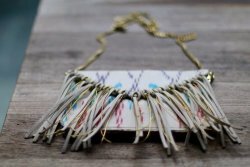 A small fringed bag for me represents freedom from the overwhelming amount of things I end up carrying around inside my normal bag. I was in a restaurant recently and my bag fell off the chair and you can imagine all the things that spilled out onto the floor. How embarrassing! With a bag of this size, I will only be taking the essentials –which is fine for a night out or lunch with the girls. 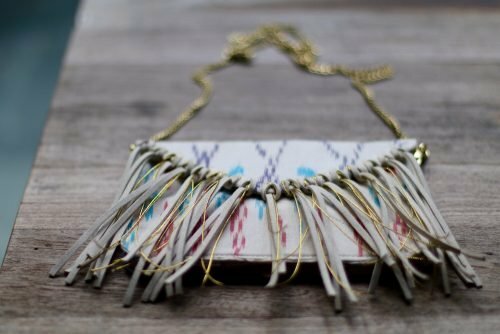 A small bag like this is really a key part of anyone’s wardrobe. 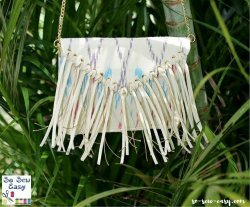 This pattern will give you the choice of making a clutch or to hang it over your shoulder so you have some flexibility."